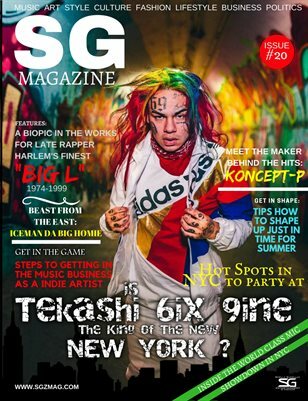 Is rapper 6ix 9ine the king of NYC? We have to ask our self what is king? This issue takes it's reader inside the City they say started it all, New York City. With the city in uproar over the new hip-hop to the hot spots to check out while you in the city. Also meet some new models making a name for themselves as well as the new indie artist shaking things up. Also readers get some tips how to get in the music business as an indie artist and do it the right way.This issue drops at a perfect time for hip-hop so be sure to get your copy.